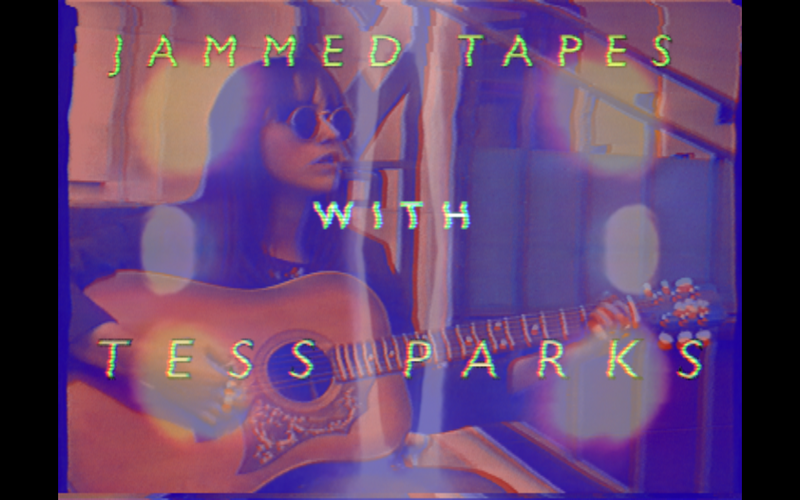 ::: JAMMED TAPES SESSION ::: TESS PARKS – IS YOUR CLAM IN A JAM? A couple of weeks ago I met up with Tess Parks before her gig with Black Market Karma at the Social, a small basement venue in Central London owned by Heavenly Recordings. After soundcheck we hung out on some steps outside the club to film a Jammed Tapes session where she played me her own slowed down rendition of Them‘s Gloria. Her coarse vocals combined with the familiar, yet sparse chord progression added new depth to the rock and roll standard, turning it into an atmospheric, brooding piece whose temperature kept rising until the timely arrival of a fire truck on the street in front of us. After we recorded the session we went back into the venue where she played her set with her new backing band which features members of Thee MVPS. On “When I Am Young”, reverberated guitars create a beautiful, ornate psych mantelpiece that seems to be the perfect capsule for the fire in her voice. Pingback: ::: JAMMED TAPES SESSION ::: BLACK MARKET KARMA | IS YOUR CLAM IN A JAM?